Eric wrote his first song in 1976, just before the punk wave hit The Netherlands and pointed him a way to the stage. At eighteen he played famous pop temple Paradiso in Amsterdam, as an opening act for The Jam. In 1992, together with his Amsterdam based band The Big Easy, he was the first runner-up in the national 'Grote Prijs van Nederland' music contest. The band was praised for the songwriting of frontman Eric, the three part vocal harmonies and the interplay of acoustic and electric guitars. They played in the clubs, at festivals and live in various radio shows. After this period Eric played guitar in roots band Bengels, performing repertoire in the Dutch language. 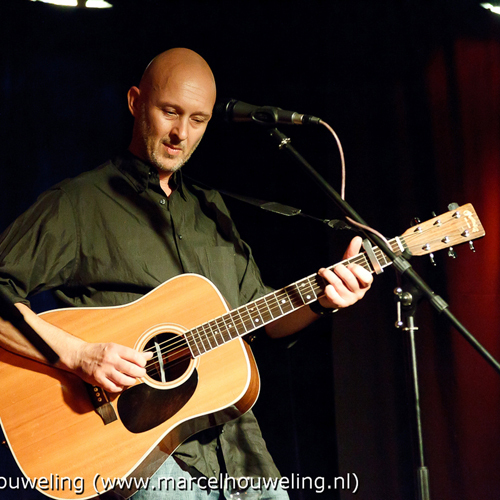 For several years he also formed a singer-songwriter duo with Bart Jan Baartmans. His debut solo CD 'Little Of A Romeo' was anticipated for a long time and released in 2004 to rave reviews and earned him a spot in the top of the national singer-songwriter scene. His finger picking guitar style stood out and he played mostly altcountry, folk and countryrock. In the following year Eric toured the U.S.A. and recorded a number of songs (the 'Tulsa Tapes') for his second album in the studio of Gene Williams in Tulsa, Oklahoma. In December 2007 his second CD 'Sweet Oblivion' was released on the excellent Dutch label Inbetweens Records. A matured follow-up to a remarkable debut. Mostly recorded with his new band The Easy: Alan McLachlan (The Scene, Sjako) on guitars, Bartel Bartels (Prof. Nomad) on bass and producer Stephan van der Meijden (The Big Easy, Pawnshop) on drums. Guest musicians were: Bart Jan Baartmans (guitar), Jelka van Houten (vocals), Harrie Brekelmans (pedal steel), Gene Williams (guitar) and Don Morris (bass). He succeeded to bridge a gap between his more quiet singer-songwriter approach and his work with a band. 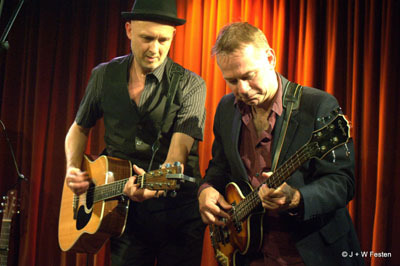 The album received five stars (maximum amount) in music magazine Revolver and was praised as 2007's best countryrock act of The Netherlands. In 2008 'Lose Myself' was released as a single, while Eric performed on the 'Uitmarkt' in Amsterdam (a yearly presentation of new music for the theaters) and played sessions in various radio shows. A second American tour followed, he played for two weeks with local musicians and was a special guest at a tribute concert for singer-songwriter Bob Childers in Cain's Ballroom in Tulsa. 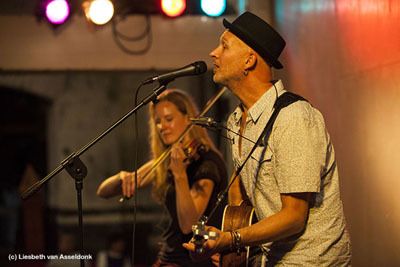 During Eric's 2009 tour he played at the Woody Guthrie Festival in Oklahoma. 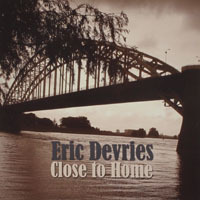 Eric DeVries is also a member of the group Songwriters United, they released a live DVD in 2005 and a CD 'Another Round With... Songwriters United' in 2007. The group (Eric DeVries, Bart Jan Baartmans, Eric van Dijsseldonk and Louis Van Empel) toured the Dutch theaters in 2010. That same year he started organizing and hosting a singer-songwriter concert series 'Ramble On' in Nijmegen and a year later also in Utrecht, inviting artists from all over the world. His other projects are: The Sidewalk Experience (Oerol), The Subterranean Outlaws (Dylan Tribute), Hidden Agenda (De Parade) and The Old Brown Shoes (Late Beatles Tribute). It's been seven years since 'Sweet Oblivion' was released and Eric's third album 'Close To Home' just hit the shelves. Was the delay a case of ‘seven years bad luck’ or an example of ‘life is what happens while you're busy making other plans’? Neither and both. As the title already suggests, this album is his most biographical yet. He speaks to us through his songs, about love, life and death, saying goodbye and starting over again, regrets and excuses or the celebration of life. He brings up these big themes with a clever use of words, a good sense of humor, sometimes up close and personal, sometimes tongue in cheek. The relationship between a man and a woman is always a good song subject, so is the traveling life of a musician - from his place of birth Amsterdam he takes the listener on a road trip to Tulsa, Birmingham and even Jerusalem. 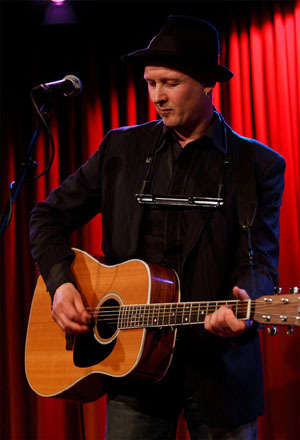 Together with producer Bart Jan Baartmans he delivered an album in the classic tradition of the singer-songwriters in the 70s, but with a current, modern twist. 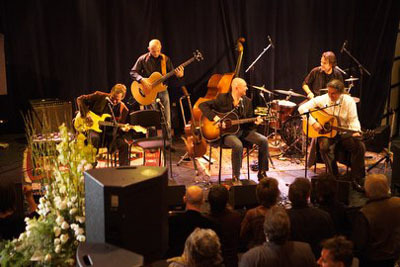 He recorded again with his band The Easy: Sjoerd van Bommel (drums, percussion); Janos Koolen (guitar, banjo, mandolin and more); Bart Jan Baartmans (bass, guitar, bouzouki); Kim de Beer (violin); Rob Geboers (piano, Hammond organ) and with guest musicians: Henny Groot Antink (backing vocals); Anna Coogan (vocals); J.D Foster (electric guitar). Eric paints pictures in his songs, as a wry and rocking celebration of life, with all its ups and downs. 1. "Anything But What I Am": Eric stays close to himself with his musings, in a pleasantly rippling country song, Janos adds a little pithy touch with his perky ukulele. 2. "Close To Home": The rhythmic title track. Is Eric telling about that guy living down the road, or about himself? "Some things lie buried under stone". Great musical setting! 3. "Different Stations": A slightly different sound, with piano and dobro. Touching song, about a couple loving each other, but not being able to make it work. Eric sings straight from the heart and he has such a beautiful voice! A little like Ad VanderVeen and a little like Iain Matthews. 4. "In This Country": Story song with a bluesy touch, about a young man in Israel. 5. "Memories Of You": Bart Jan, the perfect all round musician, plays a bouzouki here on this catchy uptempo track. "I could change my ways and be a better man / Like a snake changes skins just because it can." 6. "November In The Rain": "Please send me a postcard, from wherever you are / Just so I know that you're alright". You got my attention, Eric! A plaintive country ballad with excellent lyrics. I especially like that line about bravery! Henny Groot Antink sings backing vocals. 7. "Easy To Love": Eric has a good sense of humor, this is just so great! The girl is always on the phone, he can't tell if she's acting or lying, she spends all his money and he wouldn't even trust her as far as he can throw her - but: "She's just so easy to love and so hard to leave". 8. "Nothing Rhymed": The only cover on this album is a very pleasant surprise: a spot-on version of Gilbert O' Sullivan's 1970 hit song "Nothing Rhymed". Fits perfectly between the other original tracks, sung and played very well. From my early teenage years on I always liked O'Sullivan's works, although I didn't understand his weird get-up, he certainly is an underestimated songwriting talent. 10. "Moment To Cherish": The rhythmic music has panache and elegance. Bart Jan plays slide guitar and Rob piano. 11. "She Never Said As Much": The fast acoustic guitars skip and hop along, while Bart Jan adds a banjo to this story of a mysterious lady. 12. "Songwriter Blues": Despite the album title, Eric hits the road in this fast bluesy track, recalling memories from his travels through the U.S.A., smartly citing various famous song titles throughout. Strong driving sound, underlined with bongos - no less. 13. "Time Weighs Heavy": After all the relationship trouble, there's some hope in this flowing ballad. Janos plays an interesting eight-string guitar. 14. 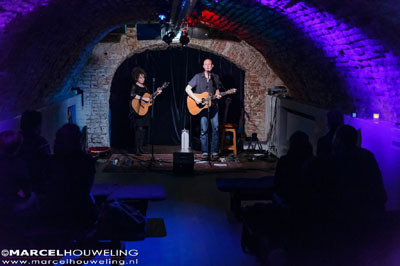 "Apology Blues": Henny Groot Antink comes back for a duet vocal, in this fitting last gospel blues track. Fourteen tracks, but never boring, thanks to the good quality and variety of the songs. Being on a real record label always has its advantages: the CD is nicely packaged and has a booklet with the lyrics and all other information. Perfect sound, thanks to seasoned producer Bart Jan Baartmans, working in his own Wild Verband studio. Strong melodies and adventurous compositions, filled out flawlessly by the most experienced musicians of the country. Especially during the track with the Americans singing and playing along, we hear that Eric and his band are on a somewhat similar level with them. A positive approach, presented in an optimistic way with a light tone, although the song subjects are realistic, life has its ups and downs - after all. Written & compiled by Johanna J. Bodde - November 30th, 2014.